Benue State Governor, Samuel Ortom, has once again refuted the report of his alleged plan to dump the All Progressives Congress, APC, ahead of the 2019 general elections. The governor said he remained loyal to the ruling party and had no plan to defect to another party. 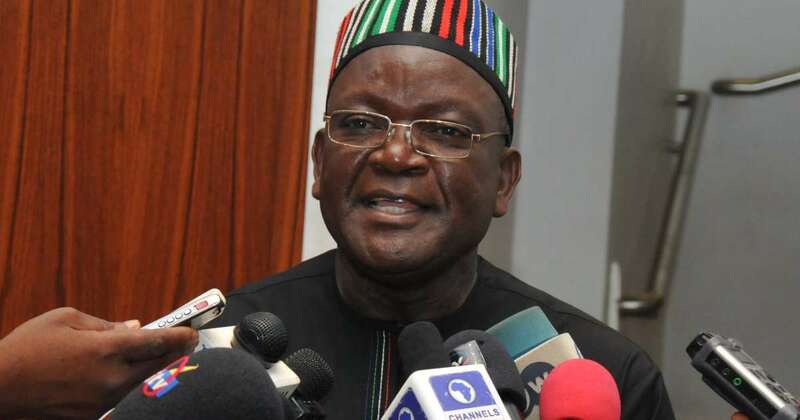 Ortom in a statement on Sunday by his Chief Press Secretary, Tever Akase, said the report was apparently sponsored by members of the opposition aimed at causing disaffection between him and leadership of the APC. According to the statement, “We read a report in a national daily of today which named Benue State Governor, Samuel Ortom as one of the All Progressives Congress, APC leaders planning to defect to another political party. “The report which is obviously sponsored is not only false but also misleading. Governor Ortom has no intention to leave APC for another party and has not consulted anyone on the matter. “The Governor enjoys a cordial working relationship with other leaders of the party both at the local, state and national levels and is focused on delivering greater benefits of democracy to his people including tackling the security challenges confronting them and there is no cause to warrant his defection to another party. “Governor Ortom’s stand of seeking for justice over the invasion, killing and wanton destruction of property by herdsmen militia is what any good leader ought to do. The Governor has already conveyed the appreciation of the State Government to President Muhammadu Buhari for deploying more troops and other security operatives to Benue to end the killings. “It must be noted that the killings predate the APC as a party and the present administration. The Governor’s focus is on solving the problem in collaboration with other stakeholders. He wants to see the end of the killings but this can only be done with the support of the Federal Government. Fortunately, the administration of President Buhari has responded positively by sending troops and other security operatives to chase away the armed militia from Benue communities. “We view the speculation as the handiwork of detractors who want to take undue advantage of the unfortunate security situation in Benue State and play politics with the blood of the people. “The other insinuation in the report that Governor Ortom has fallen out of favour with other leaders of APC in Benue State particularly Senator George Akume is also unfounded. The report is aimed at creating acrimony between the Governor and the Senator. “Governor Ortom was popularly elected to lead Benue State and he has demonstrated uncommon commitment and selflessness to justifying the confidence reposed in him. He will therefore not be distracted by baseless reports and rumours of defection.